I vaguely remember that Lauren Conrad shared the link to the Inquiring Chef and found it really interesting because it wasn�t just a recipe but a post on millennials and what people do after doing some obligatory travelling and then returning home. 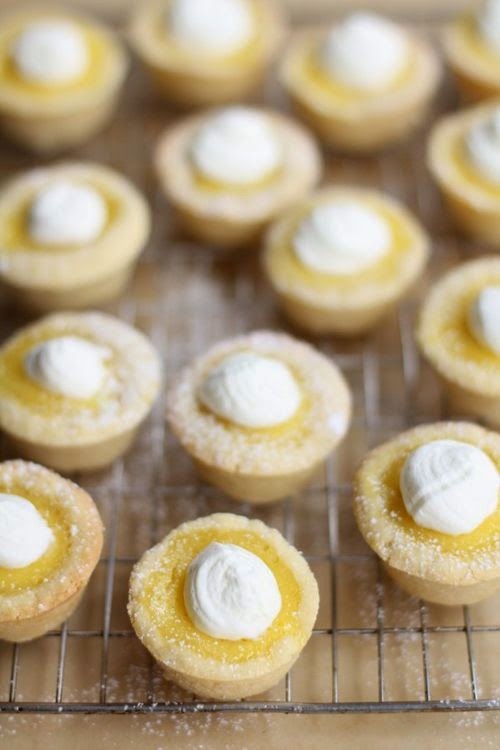 She spends some of her Saturday afternoons baking and she shared the tarts as one of those recipes. Not one to brag *ahem* but these turned out perfectly on the first bake. Such a simple recipe to follow, I was surprised at how easy the cookie crust was and how the filling baked nicely. The dough was straightforward to make and I would certainly recommend trying to keep it in the fridge for the full half an hour, I made two batches of this and the second time I didn�t leave it in as long and was a lot stickier when moulding into the bun tins. The lemon filling was probably fiddly just for the pure reason that I had to separate the yolks from the white and put them in the right bowl. Pour in the filling bang in the oven and they�re done in 12 minute on the dot. Sprinkle over some icing sugar and a squirt of whipped cream for decoration!